The Conservation Advisory Network (CAN) is a free collections care advice service delivered by The Bowes Museum and Tyne and Wear Archives and Museum‘s Museum Development Programme. The service helps museums in the North East with conservation and collections care advise and training. 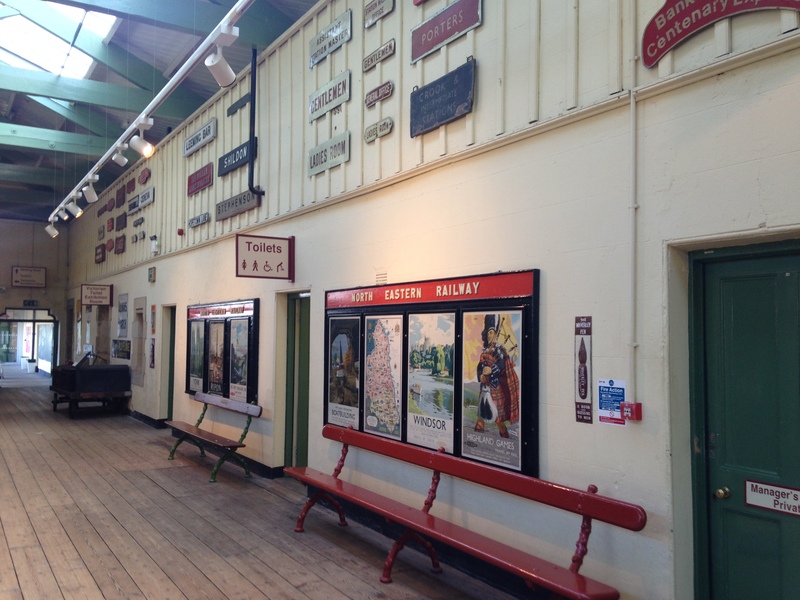 On Friday 27th February, Head of Steam Railway Museum in Darlington hosted a CAN conference, organised by Regional Conservator Karen Barker. The conference was open to all museum staff and volunteers, designed to provide tips, practical advise, and inspiring presentations, and attracted over 30 delegates. The conference began with a presentation by Jenny Halling Barnard, a conservator from the Durham County Records Office. In theory, the entire collection is accessible, apart from items restricted by the Data Protection Act (prison, medical and birth records). The archive has 4 miles of shelving, and over 900 years of records. Access is also restricted for objects in poor condition, which are too deteriorated to be handled safely, making them inaccessible both for researchers, and for the process of digitization. Jenny explained how using the principles of ‘minimum intervention’ and repairs for ‘once-only’ handling, she had been conserving archive items for digitization. With examples from Whitby seamen’s muster rolls, and medical records from Stannington sanatorium Jenny showed the condition in which records can enter the archive, damaged from poor storage, or inappropriately bound or repaired. 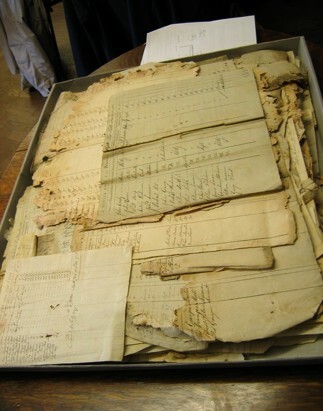 Quick and effective conservation techniques have been used to repair to documents, making them safe to handle and photograph, and, crucially, making the information that they contain accessible to researchers. The seals on Royal charters are often made of wax or early plastics, and can be easily damaged by poor handling. The usual techniques of moulding and casting to make replicas are not always possible, so new technology is being utilized to 3D scan the seals. The information is then available to researchers digitally, or 3D copies can be printed for handling as a physical replica. Dawn Bradshaw, Preventive Conservator based at the Discovery Museum, Newcastle, gave an inspiring talk about the transformation of the Science and Industry Collection Store. The store had been neglected, becoming overcrowded with large industrial objects, was physically inaccessible to museum staff, and many of the objects were contaminated with carcinogenic oil and asbestos. With a dedicated team, lots of planning, and hard hats, the collections were sorted out, unknown objects identified, and the objects arranged to tell the story of electricity through the collection. Hazardous materials were identified and either disposed of, or made safe. There are now regular store tours, making the objects accessible for study and research. John Wynn Griffiths, National Trust Conservator for the North East explained how the Trust is seeking to strike a balance between increasing visitor numbers, and protecting the collections. The National Trust had 19.4 million visits across their sites in 2011, and there is pressure to increase visitor numbers by 10% each year. The Conservation for Access (C4A) toolkit was developed in 2000, and seeks to resolve the divide between conservation and access. C4A quantifies the ways and means to achieve sustainable access, and used correctly, becomes a powerful tool to plan and manage how visitors enjoy National Trust collections and properties. Jon Old, Conservation Manager at The Bowes Museum gave a presentation about a project which sought to provide better access to the Museum’s collections to a group of visually-impaired visitors. Typical ways in which museums display objects can ostracise this group, light levels may be too low, labels difficult to read, and policies of ‘Do Not Touch’ abound. Blind Life in Durham (a group for blind and partially-sighted people in the Durham area) approached the museum to make a film about the problems that people with visual impairments can face in a museum environment. A handling session was organised, using objects from the social history, archaeology, and textile collections. The visitors were provided with nitrile gloves, and an object label was provided for each object, to give more context. 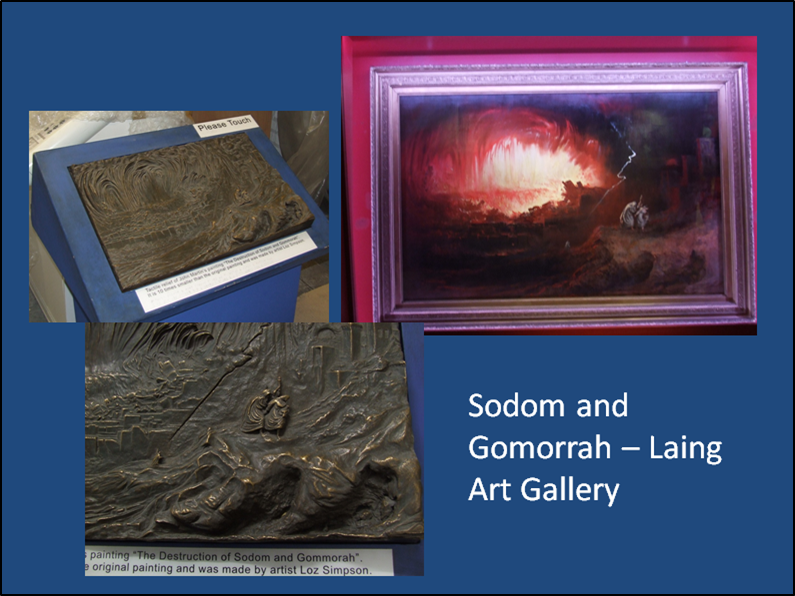 The session was run by the Museum’s Preventive Conservator, and a Curatorial Assistant, and received very positive feedback. John Greenwood and Dawn Knox (English Heritage) co-presented an entertaining session about the ethics of removing dust and dirt, or ‘time-stain‘ as John Ruskin once referred to it. 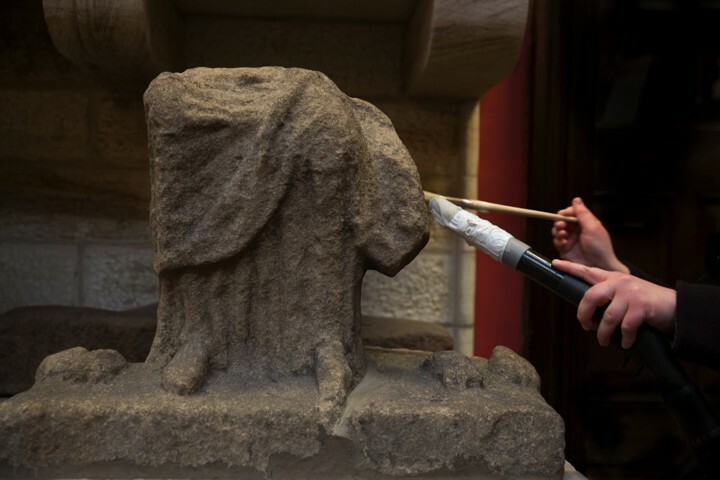 Conservation is often represented as some kind of cleaning process, with the profession underpinned by ethical guidelines, used to justify what dust we do, and sometimes don’t, remove from objects, collections, and historic monuments. Dawn is an artist, currently working on a project along the length of Hadrian’s Wall. She is collecting everything that the conservators are removing (dust, leaves, grass clippings, moss), in order to give the impression that no time has passed. The installation will be shown at Birdoswald Roman Fort at a later date. The final presentation of the day was from Alison Nicholson, Digital Communications and Fundraising Officer from The Bowes Museum. She explained how reductions in core funding led to the Museum seeking new methods of fundraising, with two successful examples of crowdfunding from last year. She provided practical tips on how to select your project, keep the momentum going, and survive the nail-biting final push to reach the target. To coincide with an exhibition by Gavin Turk (7,201,964,238) the Museum ran a Kickstarter campaign to commission a neon sign to be installed on the front of the building. 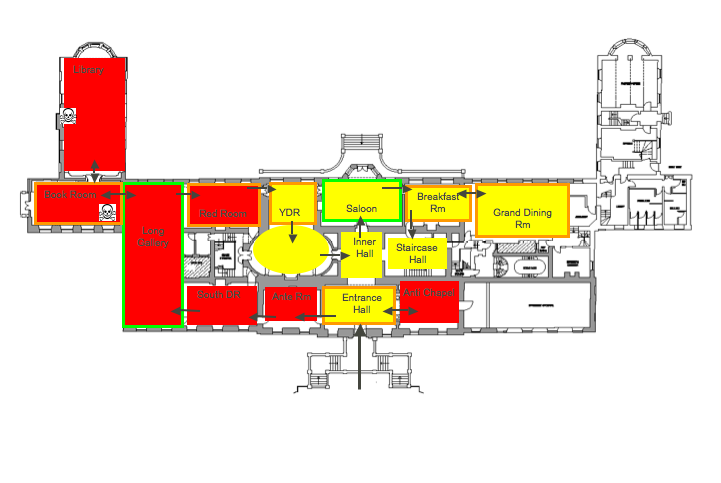 With a £6,000 target, the Museum was pledged £8,680 to realise the project. 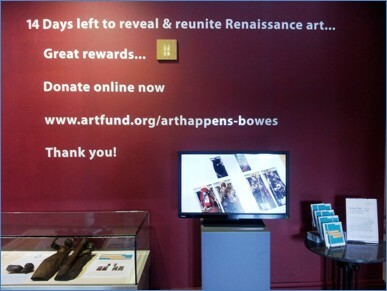 The Art Fund ‘Art Happens’ crowdfunding platform was used to succesfully raise the £21,000 needed to conserve the 15th century Flemish altarpiece (the progress on which can be followed here and here).